Home RIAN W. JONES, Esq. Rian W. Jones is the Senior Litigator at our firm with over 30 years of experience and having tried over 60 Superior Court jury and bench trials. 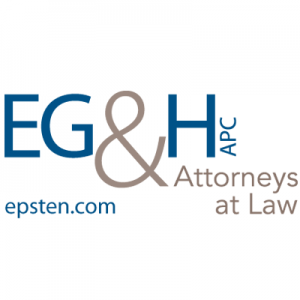 Prior to joining Epsten Grinnell & Howell, APC in 2008, Rian was a partner at Lewis, Brisbois, Bisgaard & Smith and prior to that a partner and trial counsel at Cuff, Robinson & Jones. His current practice focuses on all aspects of civil litigation handled by the firm including enforcement of CC&Rs, the defense of homeowner associations and HOA boards, Employment Law, Real Property issues and General Liability claims including environmental claims (mold, asbestos, etc.). Rian has earned an AV® PreeminentTM Peer Review Rating from the prestigious Martindale-Hubbell Law Directory and has received numerous awards and professional recognition including being named as one of San Diego’s Top Lawyers and one of the Top Lawyers in California. Rian is a Barrister in the American Inns of Court Foundation. Rian has successfully handled lawsuits involving claims of personal injury, property damage, product liability, premises liability, breach of contract, toxic tort claims, employment law/ wrongful termination claims, fraud, conversion and unfair business practices. Rian has argued cases in both State and Federal Courts of Appeal and, in conjunction with our Appellate Department, Rian has been involved in precedent setting published cases in the Courts of Appeal. Rian attended Brigham Young University and Western State University in San Diego (now Thomas Jefferson School of Law) where he received his B.S. (1981) and J.D. (1984) degrees. He was admitted to the California Bar in 1985 and also is admitted to practice before the U.S. District Courts for the Southern and Central Districts of California as well as the Ninth Circuit Court of Appeals. He has been a lecturer for various continuing legal education programs dealing with Civil Procedure, Litigation, Depositions and Jury Selection. He has served as a Judge Pro Tem for the San Diego Superior Courts from 2000 to 2006, hearing settlement conferences, and has been an Arbitrator on the Court’s approved panel since 1990, having heard and decided over 100 arbitrations in that time. Rian is a native San Diegan and is active in his community and church. He has served as a Boy Scout Leader in various capacities including as a Varsity Team Coach and Explorer Post Advisor. Besides a life-long love for camping and hiking, Rian enjoys travel, photography, and golf. He is fluent in Italian and loves traveling to Italy. 9/2018 HOALeader.com, California Lawmakers Give Themselves Sweetheart Condo/HOA Deal; Do Yours Do the Same? 9/2018 HOALeader.com, What's Abstention, When Should It Be Done, and How Do You Count It? 4/2018 HOALeader.com, California Broadens Board Members' Protections; What's the Rule in Other States? 4/2018 HOALeader.com, California Clarifies HOA Directors' Personal Liabilityl But is There Really Much Change?